While the Idaho Education Association, Idaho School Boards Association and Idaho Association of School Administrators rightfully took the lead in opposing this dangerous legislation, defeating HB 590 would not have been possible without the determination of individual members of our organizations and a host of others who were willing to fight for the opportunities and access our public schools provide. We have strong public schools in Idaho, and dedicated professional educators who have made it their life’s work to educate and serve every child who walks through the doors of their neighborhood school. A heartfelt thank you to everyone who contacted legislators, talked to their local school district officials, shared concerns about HB 590 on social media and in person, or assisted in any way to educate the public about this alarming bill. 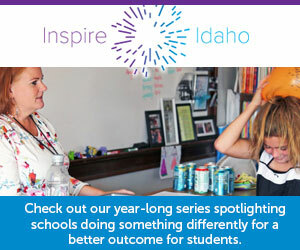 Your efforts will have a positive and lasting affect on Idaho students, schools and communities. Written by Sue Wigdorski (executive director, Idaho Education Association), Karen Echeverria (executive director, Idaho School Boards Association) and Rob Winslow (executive director, Idaho Association of School Administrators).